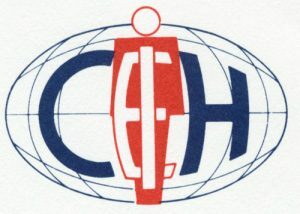 The ICEH logo was drafted by Robert Rogan of Dublin, Ireland in 1990. The intention was to present the human person as an ‘international centre’ for environmental health stewardship. Each one bearing a responsibility for the care of the environment and of each and every other human person. A personal thumb-nail cosmology on fostering environmental health sustainability is provided below. The environment is gifted with its own integrity and dynamic balance; and each and every person and the communities of people bear a responsibility for the care of the environment and of each other. On Caring for Our Common Home: Who Will Answer?